It seems to me I’ve touched on the concept of the sidekick before, but I began to wonder to myself how it all began. I should have known it would be on the DC side of the house with Jerry Robinson and Robin the Boy Wonder. 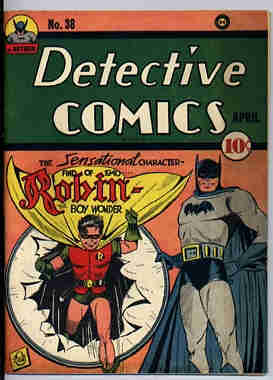 He showed up in Detective Comics #38, dated April of 1940. The next thing you knew, you couldn’t toss a batarang without hitting another sidekick. 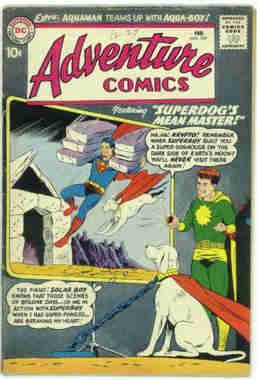 The competition was quick to pick up on it, rolling out Toro and Bucky in 1941, though Speedy also showed up in More Fun Comics #73 in 1941. Aqualad made his debut in Adventure Comics #269, February, 1960 and Wonder Girl is just too confusing, so you can make up your own mind about her. Then there’s Kid Flash, who appeared for the first time in 1959 in Flash #110. Twenty-Five issues later, it was decided that he needed a makeover. 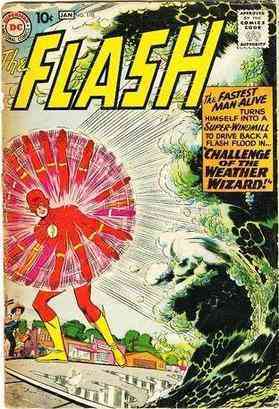 Flash #135 from March of 1963 featured a cover by Carmine Infantino and Murphy Anderson. “Secret of the Three Super-Weapons!” was written by John Broome, penciled by Carmine and inked by Joe Giella with Julie Schwartz functioning as editor. Things kick off in Blue Valley, where young master Wally West (Geez, I started to type “Wood.”) is trying to solve a mystery. In his scarlet uniform, he’s trying to reach a particular velocity to try to recreate a scenario he accidentally stumbled across recently. He could hear random thoughts. He finds the place and proper speed and decides the best technique would be to vibrate in place. Sure enough, a beautiful if otherworldly looking woman materializes. Continuing to vibrate internally, he listens to the story of Ryla of Korydon, which is located in the sixteenth dimension. She explains that Earth will soon be endangered by the Makryds, a race of fierce warriors who are undefeated in battle. She has been sent as a harbinger to sound the alarm and to let the people of Earth know that they’ve sent three super-weapons to aid them, but they don’t know where they’ve landed on the planet. Amazed at this development, Wally does the only thing a good sidekick could do, he seeks out the Flash. As it happens, the Flash is currently trying to unravel a riddle of his own, having been called on to investigate a mysterious object found near Central City. When the Crimson Comet touches the machine, he finds himself filled with a current. 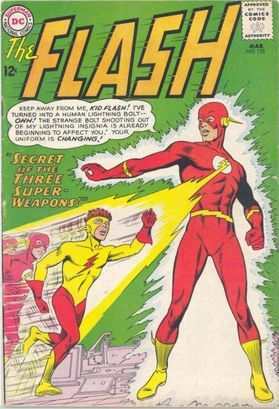 Just then Kid Flash arrives and the cover scene is displayed, showing a lightning-like burst emerging from the Flash’s chest emblem, bathing Kid Flash in it and transforming his uniform into something new. It is then that the Fastest Man Alive realizes what has happened. He’d been contemplating a change in his protégé’s suit in order to reduce confusion and the machine had enabled his thoughts to become reality. The machine provides for the power of mind over matter. Kid Flash then fills in his mentor on what he’s just discovered. 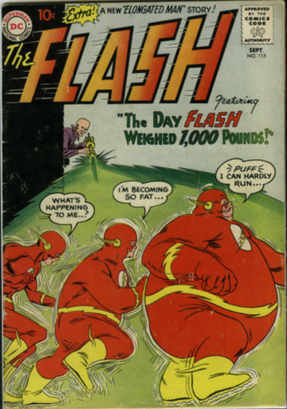 The Flash declares that the Earth is soon to endure a sneak attack from space and that they must find the other super weapons. 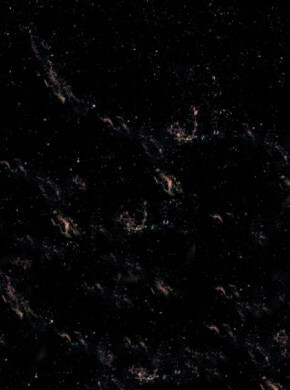 The two speed demons proceed to begin a search grid at super speed. Each soon locates the other two machines, one in Northern Europe and the other in South America. Bringing them back to Central City, they somehow discover the properties of the newest devices as providing an ultra-paralysis bolt, good within a 100-mile radius, and a Super-scanner ray, that will allow the user to see anything, anywhere in any universe. Talk about your ultimate voyeuristic tool. Flash quickly avails himself of the Super-scanner, hoping to learn the Makryd’s plans. He does, but it isn’t good news. They’re about to launch an inter-dimensional radiation missile to destroy the super weapons. Part II opens with a successful launch and the three super-weapons are rendered so much slag right before the eyes of Flash and Kid Flash. Unbowed, Kid Flash suggests that he try to make contact with Ryla again and perhaps gain new weapons. The Scarlet Speedster agrees and the two part ways, Wally to rendezvous with Ryla and Barry to scout around on the Earth, keeping an eye out for malevolent Makryd’s. When Kid Flash arrives at the spot and starts to vibrate he abruptly finds himself in Korydon and soon locates Ryla, though she is imprisoned in a futuristic paddy wagon. Using his super speed to full advantage, Wally takes out the Makryd security detail and then frees Ryla and her entourage. A plan is quickly hatched to gain new weapons, but it will involve some risk as they must take them from the Makryd warriors. A diversion is created and Kid Flash and Ryla make their way to the armory, but it’s guarded with a wall of deadly radiation. Wally explains a way through, however. “All radiation travels in pulsations—which means there is very tiny free time between pulses! And by Super-Speed I should be able to take advantage of that free time to get us through!” Sure enough, the plan works with Kid Flash carrying Ryla across the threshold. Swiftly defeating the guard robots, Kid Flash and Ryla set up the Cosmo-Dispatcher to transport the super-weapons to Earth. Ryla insists on accompanying the young speedster back to Earth, so the device is activated and the young lad again carries Ryla in his arms at super speed back to the Earth. Part III brings us back to Earth where forewarned lookouts are on patrol when they spot the Makryd’s and their artillery arriving through a portal in the sky. The Flash arrives within moments and wastes no time engaging these alien foes. He pulls one gunner from his weapon and throws him into the path of his own blast, then streaks forward to disrupt communications and life support systems, but despite his successes, he is soon neutralized when a strange device emits rings of pure energy that immobilize our hero. Unknown to the Makryd’s, though, is that there is another super speedster and thanks to the Super-scanner, he and Ryla have witnessed the entire scene. She advises the young hero to run to Flash’s aid while she uses the mind-over-matter device to do her own damage. Ryla’s efforts free the Flash while Kid Flash wreaks havoc with the soldiers. Then it’s a super-speed team-up with each of the speedsters whipping up clockwise and counter-clockwise columns of air to disorient and defeat the invaders. Later, the U.S. Army is on hand to mop things up and still later, at a meeting of the U.N., a decision is made to release the Makryd’s to Ryla and her Peace Committee for final disposition. The Flash and Kid Flash go their separate ways and while Wally’s mother frets about all the time the boy spends in his room, young Master West is enjoying a gizmo left behind by Ryla. It’s a letter dispatcher that can cross the dimensional barrier so that they can stay in contact, and it looks vaguely like a small iPad with a stylus. Perhaps John Broome and Carmine Infantino were well ahead of their time. As my regular readers already know, I don’t keep up much with current continuity, if you can call it that. It seems like reboots and death is the order of the day anymore, so I don’t even know for certain who claims to be the Flash or Kid Flash or if they even currently exist or might be in the throes of rebirth or whatever. I truly have no idea. I do know that Wally West was the Flash for a time, reclaiming the classic uniform after Barry Allen apparently died, but I also know Barry came back. It seems the only one they haven’t screwed with much is good ol’ Jay Garrick. In any case, MY Flash will always be Barry Allen (with Jay Garrick hanging around for a great occasional team-up/crossover and Wally West is my Kid Flash. It’s all just part of my favorite era and I stand by it. One other brief anecdote: I noticed that initially the ear pieces on Kid Flash’s new uniform remained yellow, but at some point later they colored them red, probably for a better contrast. 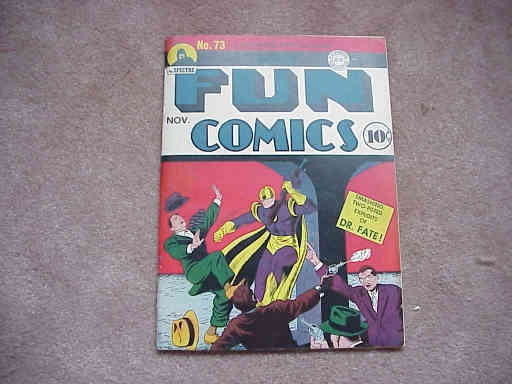 Meanwhile, a fun, action-filled story with superheroes and science fiction earns a rating of 8 on the 10-point scale. The Silver Age of DC Comics is what we’re all about here at the Silver Lantern, and you can find references galore on the site along with this humble feature. Thanks, as always, for stopping by and for questions or comments, use that handy e-mail address: professor_the@hotmail.com.